Where is Tiki Island? That's where the fun is! Having a backyard luau or a tropical themed party? 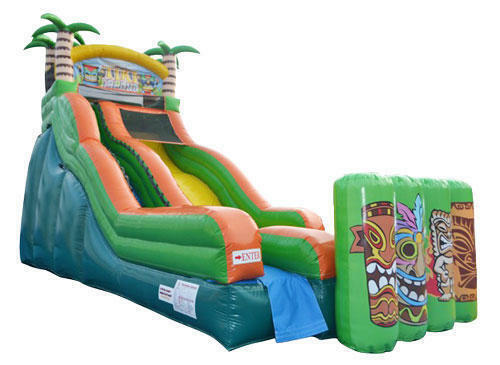 The Tiki Island slide is the perfect selection! All ages, kids and adults will enjoy this exciting 19' tall slide so get out that swim suit and get ready for some summer fun!